Game of Thrones slowly marches toward its epic conclusion. The teaser (as shared by Entertainment Weekly) reveals that the last season of Game of Thrones will debut in April 2019. 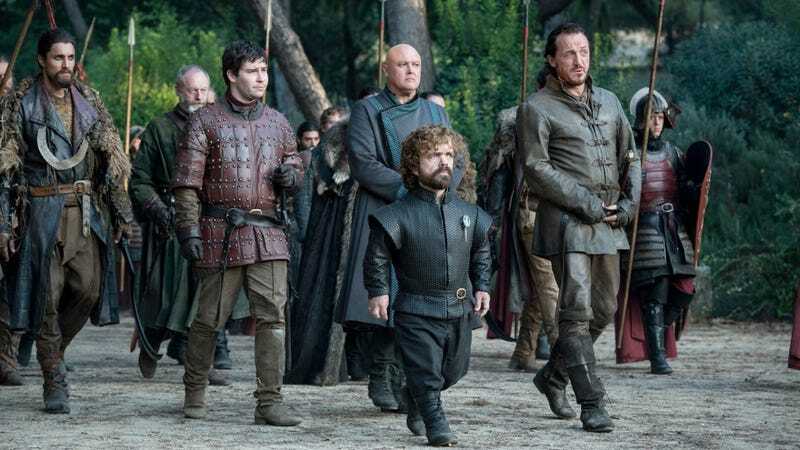 This matches just about every previous season’s premiere month—with the exception of season 7, which arrived in July 2016 because they had to wait for winter to arrive before filming. This final season has taken even longer to film than that one, making us wait almost two years to see how the Final Battle plays out. No new footage here but, well, enjoy. Look, I’m just as frustrated as you are that the only peek we’ve gotten at season 8 was that tiny three-second clip that I needlessly analyzed to death. Especially because this season promises the biggest battle ever seen on either film or television. But hey, at least they didn’t tell us the official release date by making us wait for a giant block of ice to melt. At least...not yet.